If you’re interested in being an HVAC mechanic in Maine, you might be glad to know that there’s no state license to practice your trade. Still, it’s important to be mindful of local regulations and to make sure you’re well-prepared for the career. 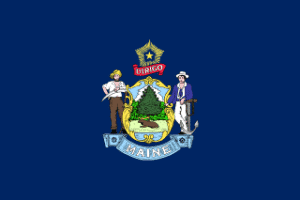 Since there are 16 counties and 23 cities in Maine, it’s important to inquire about local regulations for doing HVAC work. Also, be sure to check to see if you need permits for new installations or substantial changes to existing plans. HVAC technicians in Maine can start out with a decent wage of around $14.15 an hour, or about $29,420 a year. With experience it can rise to around $45,700 a year, or at the highest levels an average of around $63,000. If you are setting out on your own and setting up your own business, you’ll want to make sure you stay on the right side of the law, too. While there’s no HVAC license, you will need to get a business license. The state of Maine has a great section on their website about what you need to do to start a business. Don’t forget that the Section 608 certification for handling refrigerants is a federal requirement, so if your work involves refrigerators, freezers, or other units that contain refrigerants, you do have to obtain the appropriate certification. You can find more information in our article on EPA requirements about handling refrigerants. The beautiful Pine Tree State offers many opportunities for enjoyment, and for employment. HVAC mechanics can get started in their careers without the need for a license, and expect to earn a decent wage. Study well and get the skills you need to bring your fellow Down Easters great service!